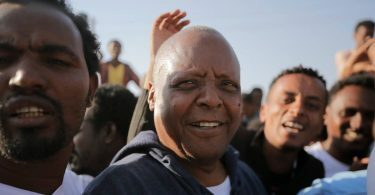 (OPride)—Ethiopian security forces on Saturday killed nearly a dozen people and wounded many others turning a time-honored holiday gathering into a nightmare. It’s becoming an all too familiar storyline in Ethiopia: A religious festival that was supposed to be a joyous occasion turned into a scene of carnage by the security forces’ disproportionate use of force to disperse crowd. 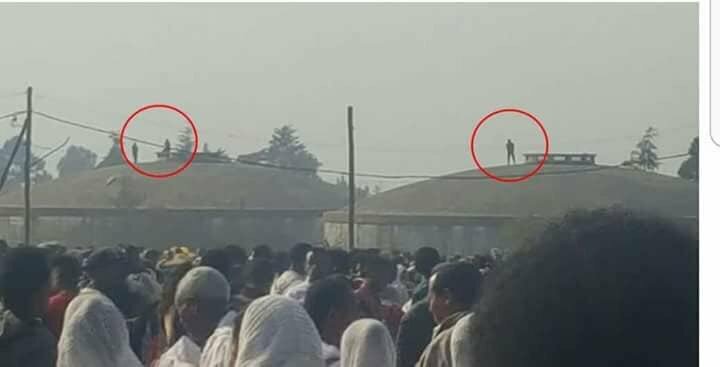 The Woldia massacre on January 20, 2018, in the Wollo district of the Amhara state, took place on the second day of the Ethiopian Epiphany or “Timket” celebration. Reliable casualty figures are hard to come by amid an internet blackout in the city and surrounding areas, but local reports indicate that federal forces fired live ammunition on unarmed civilians, who chanted anti-government slogans. The death toll is expected to rise amid reports that many are being treated for critical injuries at the Woldia City General Hospital. The “Timket” celebration is one of the most vibrant, colourful, and popular of Ethiopian traditions. Members of the Ethiopian Orthodox faith commemorate the baptism of Jesus Christ by flocking en masse to roads and meadows surrounding churches. That’s followed by a ceremonial parade of each church’s replica of the Ark of the Covenant known as “Tabot.” Every year, millions take to the streets to see off their local church’s Tabot and roads are often closed to traffic during the two-day festivities which also attracts a considerable amount of tourists. On Saturday, the youth in Woldia who turned out in droves were as vociferous and exuberant as they always are on this day, according to eyewitness reports. Political tension has been high in the area in recent months so security was apparently beefed up to ensure that the occasion would not become an opportunity to voice the collective resentment of the region’s people. Activists allege that the weekend calamity came as a result of retaliatory action by federal security forces against celebrating youth, who chanted political slogans condemning the Ethiopian government. Some protesters reportedly hurled stones at local police officers before the army started shooting at the crowd but none of the demonstrators were armed. Security forces are said to have warned the youth to stop chanting anti-government slogans before unleashing bullets on those who defied the orders. According to eyewitnesses who spoke to Deutsche Welle, the crackdown lasted for hours, with sounds of intermittent gunshots running from 3pm to 6pm local time. The city’s residents also reported seeing troops putting up blockades and restricting the movement of people. A nurse at the Woldia Hospital told Addis Standard that at least 18 people were hospitalized with gunshot wounds. The city remains militarized. The thousands who left their homes to witness the traditional send off of the St. Michael “Tabot” may have been stranded as the military set up checkpoints around Woldia. After that interview, he too was detained. Two weeks after his detention, thousands of outraged citizens took to the streets demanding his release and an end to their political and economic marginalization. 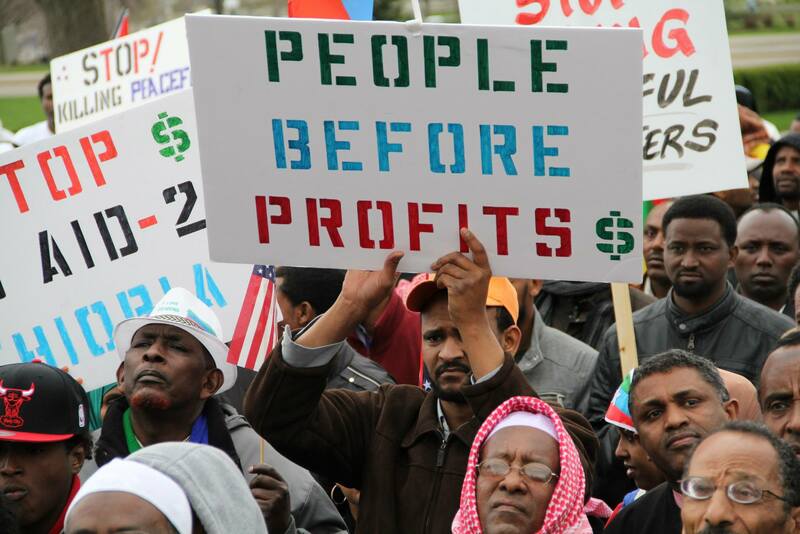 The protests brought the entire Amhara State to a virtual standstill for months. The violent military crackdown that was launched to quell the “Amhara Protests” resulted in the deaths of hundreds of civilians. At a press conference in Addis Ababa last year, Ethiopian Prime Minister Hailemariam Desalegn conceded that 120 Amhara protesters were killed. Amhara activists say the actual death toll is closer to 500. Among the most horrific bouts of violence in the region, a near 24-hour violent campaign on August 7, 2016 left 30 unarmed demonstrators dead in the state’s capital, Bahir Dar. The day before, seven people were similarly gunned down by security forces in Gonder. Nearly two years later, despite international calls for investigation into the disproportionate use of force against civilian protesters, nobody has been held accountable for the deaths of hundreds of Amhara demonstrators throughout 2016. Meanwhile, Amhara activists and leaders such as Colonel Zewdu and youth activist Nigist Yirga, remain behind bars on alleged terrorism charges. The residents of Woldia protested throughout 2016 and their discontents where on full display when the ruling Amhara National Democratic Movement (ANDM) organized a town hall meeting days after the massacres in Bahir Dar and Gondar. The hall was mostly empty after locals elected to instead take part in city wide sit-in protests. The outbreak of fresh protests on January 20 in Woldia is almost certainly a result of simmering tensions and growing resentment felt among residents because the repression across the region in recent years. In a statement posted on Facebook, Amhara State Communications Affairs head Nigussu Tilahun said a “clash” between local youth and security forces have resulted in the loss of lives. He offered no details or casualty figures, but pledged to investigate and bring to justice those responsible for the killing of innocent people. On Sunday, Amhara State President Gedu Andargachew made a surprise visit to Woldia and met with residents and community representatives. He stated that the responsibility of keeping the streets of Woldia safe wasn’t just that of security forces but also “requires the cooperation of everyone in society.” In a telephone interview with the State-run EBC, although he never explicitly strayed from the narrative of a “clash between security forces and festival goers,” he noted “in tragic incidents such as what happened (in Woldia on Saturday), the ones who often suffer the most are innocent civilians. The ringleaders who stay in the background and egg others on to commit acts of violence are rarely harmed.” It isn’t clear who he was referring to. Later, it was reported that everyone who was detained during the chaos was freed after Gedu personally intervened on behalf of their loved ones and community elders. 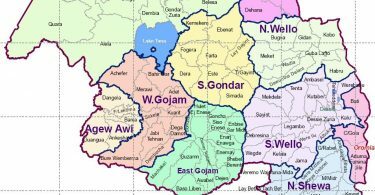 Meanwhile, Amare Goshu, police chief of the North Wollo zone that encompasses the Woldia municipality, gave a highly conflicting statement to EBC. He corroborated the claims that no more than seven had died in the incident, without pointing a finger at anyone. He then went on to declare that his men have regained control of the city and are working alongside religious and community leaders to address concerns of worried residents. At the same time, he claimed that youths had laid siege to the city, rioting and damaging property, and that the local police was working to subdue those who sought to wreak havoc in the city. Despite the deaths and destruction on the heels of a very important day in the Ethiopian Orthodox Christian calendar, there have been no public statements or messages of condolences by anyone affiliated to the Church’s governing body or the Patriarch Abune Mathias. No church officials have made themselves available for comment although victims were worshippers and its members who organized mass celebrations. Ethiopian Prime Minister Hailemariam Desalegn is also yet to make a statement on the tragedy.